Barefoot Resveratrol Anti-Aging Tonic: Resveratrol Anti Aging: What is the significance of dreaming nightly? 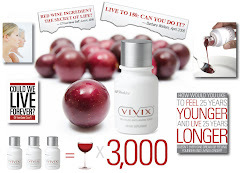 Resveratrol Anti Aging: What is the significance of dreaming nightly? Recently someone asked me a question after I shared my Shaklee Vivix testimonial. "What is the significance of dreaming nightly"? It appears that when the nervous system has enough of the right nutrients to heal, you get into that dream REM of sleep. The opposite is more important... Any night you don't dream, your nervous system DIDN'T have enough nutrients to heal. It is also believed that you heal more efficiently in that level of sleep you dream in. Also it is believed that dreaming is a sort of rebooting of the brain. Just at night you turn off your computer to start it up in the morning. A rebooted computer typically works more efficiently. Has less glitches in its processing information. I have even heard that psychologically it is better for you to dream... That dreaming is the body's way of analyzing what you experienced and felt during the day. Cindy McAsey's Shaklee Vivix Testimonial: I started taking Vivix when it was first introduced in August '2008. Like any experienced marketer knows you must use and love all the products to market them successfully. I had been taking the "Shaklee shelf" for over a decade. In about 2 weeks I started remembering the vivid details of my dreams. I've always been a dreamer, but before Vivix I wouldn't remember so vividly exactly what I dreamed about the next day.